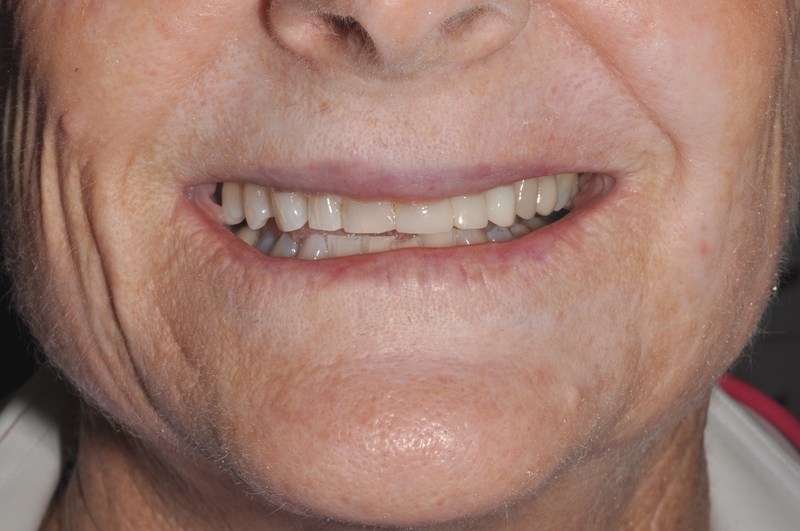 This patient had slowly worn away her front teeth on her left hand side. Once the hard enamel is worn down the softer dentine in teeth wears much faster leading to an uneven smile. Fortunately the damage was not extended to the back teeth so we had the option of conservative bonding. With minimal preparation the missing tooth structure was replaced with tooth coloured filling on the 3 damaged teeth. The procedure was carried out in one appointment and made her smile level and even again giving back her confidence. 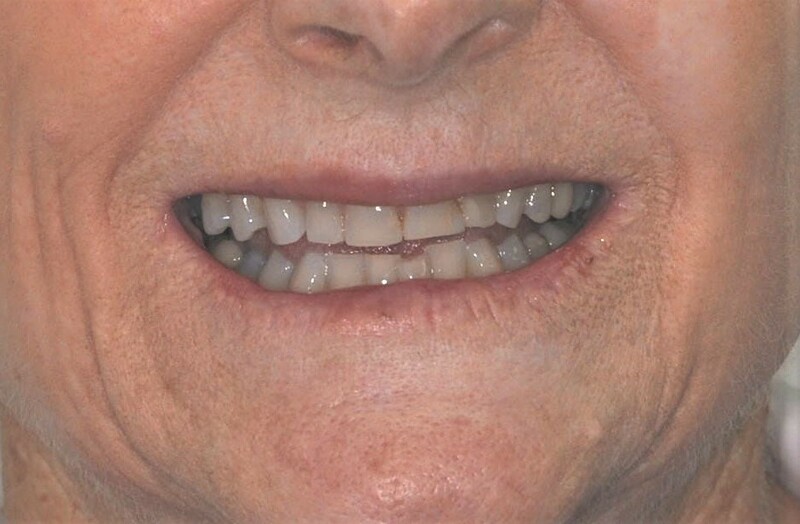 There are more complex and expensive options involving crowns or veneers on multiple teeth, but the big advantages of this procedure were low cost, fast and minimal prepping of the existing teeth. Only 3 teeth were treated at a cost of a few hundred dollars.